Continuing resources field 008/18-34 contains coded data for all continuing resources, including serials and integrating resources. It is used when Leader/06 (Type of record) contains code a (Language material) and Leader/07 contains code b (Serial component part), i (Integrating resource), or code s (Serial). Field 008 positions 01-17 and 35-39 are defined the same for all 008 fields and are described in the 008-All materials section. Field 008/18-34 corresponds to equivalent positionally-defined data elements in field 006/01-17 when field 006/00 (Form of material) contains code s (Serial/Integrating resource). Details about specific codes defined for the equivalent character positions in field 006 and 008 for serials and integrating resources are provided in the Guidelines for Applying Content Designators section of 008-Continuing resources only. One-character alphabetic code that indicates the frequency of an item; used in conjunction with 008/19 (Regularity). In the case of integrating resources, updates to an item. This element is based on the information found in field 310 (Current Frequency). The frequency codes sometimes do not accurately reflect the frequency as given in field 310. This is generally the case when the frequency is expressed in numbers per year (e.g., 4 no. a year). In these cases, the closest applicable frequency is used according to the following chart, and 008/19 (regularity) contains code x. If an item ceases publication after one issue, give the intended frequency (and regularity) if known. Otherwise, code both frequency and regularity as u (unknown). 300 ##$a1 v. ;$c28 cm. If an item is issued according to one frequency, but cumulates to another, the frequency (and regularity) are coded without regard for the cumulation. Regular-print reprint or photoreproduction items are coded for the frequency (and regularity) of the reprint or photoreproduction -- not those of the original. In most cases, both frequency and regularity will be coded as u. Used when the frequency is known to be intentionally irregular. Issued or updated once a year. Issued or updated every two months. Includes publications whose frequency is 6, 7, or 8 numbers a year. Issued or updated twice a week. Issued or updated once a day. Note: this may include Saturday and Sunday. Issued or updated every two weeks. Issued or updated twice a year. Includes publications whose frequency is 2 numbers a year. Issued or updated every two years. Issued or updated every three years. Updated more frequent than daily. Includes publications whose frequency is 9, 10, 11, or 12 numbers a year. Issued or updated every three months. Includes publications whose frequency is 4 numbers a year. Issued or updated twice a month. Current frequency of the item is unknown. When code u is used in this character position, it must also be used in 008/19 (Regularity). One-character alphabetic code that indicates the intended regularity of an item; used in conjunction with 008/18 (Frequency). Element is based on the information found in field 310 (Current Frequency). Consider the stated intent of the publisher when coding the regularity. Used, for example, when the publishing pattern intentionally deviates from a standard pattern or when field 310 specifies a cumulation regularly issued in addition to the individual issues. Intended regular publishing pattern. Used when one of the frequency codes defined in 008/18 accurately defines the frequency of the publication and whenever the publisher intends to issue the item on a regular basis. This may be determined from information on the piece or by examining the publishing pattern. Thus, if an item states that it is to be issued bimonthly, the regularity is coded as r even though the publishing pattern is known to have occasional variations due to publishing difficulties. The inconsistencies may be expressed in field 515 (Numbering Peculiarities Note) if desired. Regularity of the item is unknown. When code u is used in this character position, it must also be used in 008/18 (Frequency). Used 1) when the frequency is known to be intentionally irregular (008/18 is coded as #); or 2) when the frequency in field 310 is expressed as numbers per year. One-character alphabetic code that indicates the type of continuing resource. Also used for yearbooks and annual reports. 245 10$aAnnual report of the Malden Public Library. Collection of logically interrelated data stored together in one or more computerized files, usually created and managed by a database management system. 245 00$aMEDLINE on SilverPlatter$h[electronic resource]. Bibliographic resource that consists of a base volume(s) updated by separate pages which are inserted, removed, and/or substituted. 245 10$aProducts liability law in New Jersey : $ba practitioner's guide / $cWilliam A. Dreier and Hannah G. Goldman. Used for any title that is a series, regardless of its treatment. A monographic series is a group of analyzable items (i.e., each piece has a distinctive title) that are related to one another by a collective title. The individual items may or may not be numbered. 245 00$aActa Universitatis Wratislaviensis.$pGermanica Wratislaviensia. Continuing resource that is mainly designed to be a primary source of written information on current events connected with public affairs, either local, national and/or international in scope. It contains a broad range of news on all subjects and activities and is not limited to any specific subject matter. It may include (although not primarily) articles on literary or other subjects as well as advertising, legal notices, vital statistics, and illustrations. Separate articles, stories, other writings, etc. that are published or distributed generally more frequently than annual. Web site that is updated, but does not fit into one of the other codes, such as periodical, newspaper, or database. One-character alphabetic code that indicates the form of material in which an item was originally published. In cases where the item is published simultaneously in more than one form, or when it is difficult to determine the originally published form, the first item received or entered in the database is considered the original physical form. Item is on newsprint and/or looks like a newspaper. The item need not fit the definition of a newspaper (i.e., the type of continuing resource code in 008/21 need not be code n). One-character alphabetic code that indicates the nature of an item if it consists entirely of a certain type of material. If the item can be considered more than one type of material, the types are recorded in 008/25-27 (Nature of contents) and 008/24 position is coded blank (#). Used to specify what type of publication the item is as opposed to what it contains. Nature of the entire item is not specified. Abstracts or summaries of other publications. 245 00$aBibliographie des Schriftums für den Bereich der Haushaltswissenschaft. List of items in a collection, such as a collection of books, a collection of art objects, etc. Also includes glossaries or gazetteers. Concordances are coded as Indexes (code i). Serial biographical dictionaries are coded as Biography (code h). Encyclopedia or an encyclopedic treatment of a specific topic. 245 00$aEncyclopedia of social work. Substantive articles on legal topics, such as those published in law school reviews. Biographical material, whether autobiography, individual biography, or collective biography. Genealogy is not coded as biography. Index to bibliographical material other than itself (e.g., an indexing journal). Discography or other bibliography of recorded sound. 245 00$aJournal of jazz discography. Full or partial texts of enactments of legislative bodies or texts of rules and regulations issued by executive or administrative agencies. Also used when a work consists of texts of rules and regulations issued by executive or administrative agencies. Thesis, dissertation, or work identified as having been created to satisfy the requirements for an academic certification or degree. 245 00$aTheses in progress in Commonwealth studies. Usually has a list of references either in the body of the work or as a bibliography. Critical reviews of published or performed works (e.g., books, films, sound recordings, theater, etc.). Filmography or other bibliography of moving images. Directory or register of persons or corporate bodies. Serial biographical dictionaries are coded as Biography (code h). Collection of statistical data on a subject. Not used for works about statistical methodology. Work that is the result of scientific investigation or technical development, testing, or evaluation, presented in a form suitable for dissemination to the technical community. Either an international, national, or industry standard or a specification which gives a precise statement of a process or service requirement. Discussions, such as those in the case comments section of law school reviews, of particular legal cases that have been decided by, or that are pending before, courts or administrative agencies. Texts of decisions of courts or administrative agencies. Also used when a work consists of texts of digests of such decisions. Reference publication issued on an annual or less frequent basis that contains articles summarizing the accomplishments or events of a particular year within a specific discipline or area of endeavor. Annual reports, which are administrative overviews of an organization, are not coded here. Treaties or accords negotiated between two or more parties to settle a disagreement, establish a relationship, grant rights, etc. 245 00$aGuide to United States treaties in force. Published systems of organizing days. These may be academic calendars or almanacs, calendars published by bodies, such as labor organizations, library associations, etc. Instances of "sequential art" in which a story (whether fact or fiction) is told primarily through a set of images (often in the form of multiple "panels" per page) presented concurrently but meant to be "read" sequentially by the viewer. The accompanying narrative and/or dialog text, when it occurs, works integrally with the images to tell the story. Up to three one-character alphabetic codes (recorded in alphabetical order) that indicate that a work contains certain types of materials. If fewer than three codes are assigned, the codes are left justified and each unused position contains a blank (#). Generally, a specific code is used only if a significant part of the item is the type of material represented by the code. Information for these character positions is usually derived from other areas of the bibliographic record (e.g., field 245 (Title Statement), 5XX (Note) fields, or 6XX (Subject Added Entry) fields). If more than three codes are appropriate to the item, the three most significant are selected and recorded in alphabetical order. Not used when a publication includes an abstract or summary of its own content. 245 00$aReview of applied entomology.$nSeries B,$pMedical and veterinary. Significant part of the item is a bibliography or bibliographies. Used only if the bibliography is substantial enough to be mentioned in the bibliographic record. Note: Because bibliographies are included as part of the definition of code n, code b is not used when code n is present. List of items in a collection. Also includes lists of collectible objects, such as stamps and coins, or trade catalogs. For catalogs of books, sound recordings, or motion pictures, code b (Bibliographies), code k (Discographies), or code q (Filmographies), is given with code c.
Also used for a glossary or a gazetteer. Concordances are coded as Indexes (code i). Code h is used for serial biographical dictionaries. Significant part of the item contains biographical material, whether autobiography, individual biography, or collective biography. Genealogy is not coded as biography. Not used when a publication contains an index to its own content. Significant part of the item is a discography or discographies, or other bibliography of recorded sound. Used only if the discography is substantial enough to be mentioned in the bibliographic record. For discographies that are also catalogs, both code k and code c (Catalogs) are given. Includes of full or partial texts of enactments of legislative bodies, published either in statute or in code form, or texts of rules and regulations issued by executive or administrative agencies. Usually has a list of references either in the body of the work or as a bibliography. Note: Because bibliographies are included as part of the definition of code n, code b (Bibliographies) should not be recorded when code n is appropriate. Includes critical reviews of published or performed works (e.g., books, films, sound recordings, theater, etc.). 245 00$aClinical exercises in internal medicine. Significant part of the item is a filmography or other bibliography of moving images. Used only if the filmography is substantial enough to be mentioned in the bibliographic record. For filmographies that are also catalogs, both code q and code c (Catalogs) are given. Includes a directory or register of persons or corporate bodies. Serial biographical dictionaries are coded as Biography (code h). Significant part of the item is a collection of statistical data on a subject. Not used for works about statistical methodology. 245 00$aList of statistical series collected by international organizations. Includes technical report material that is the result of scientific investigation or technical development, testing, or evaluation, presented in a form suitable for dissemination to the technical community. Includes either an international, national, or industry standard or a specification which gives a precise statement of a process or service requirement. Includes discussions, such as those in the case comments section of law school reviews, of particular legal cases that have been decided by, or that are pending before, courts or administrative agencies. Includes texts of decisions of courts or administrative agencies. The code is also used when an item includes texts of digests of such decisions. Includes treaties or accords negotiated between two or more parties to settle a disagreement, establish a relationship, grant rights, etc. One-character alphabetic code that indicates whether an item is published or produced by or for an international, national, provincial, state, or local government agency, or by any subdivision of such a body, and, if so, the jurisdictional level of the agency. 245 02$aA Guidebook of United States coins. 110 1#$aItaly.$bMinistero degli affari esteri. One-character numeric code that indicates whether an item consists of the proceedings, reports, or summaries of a conference. 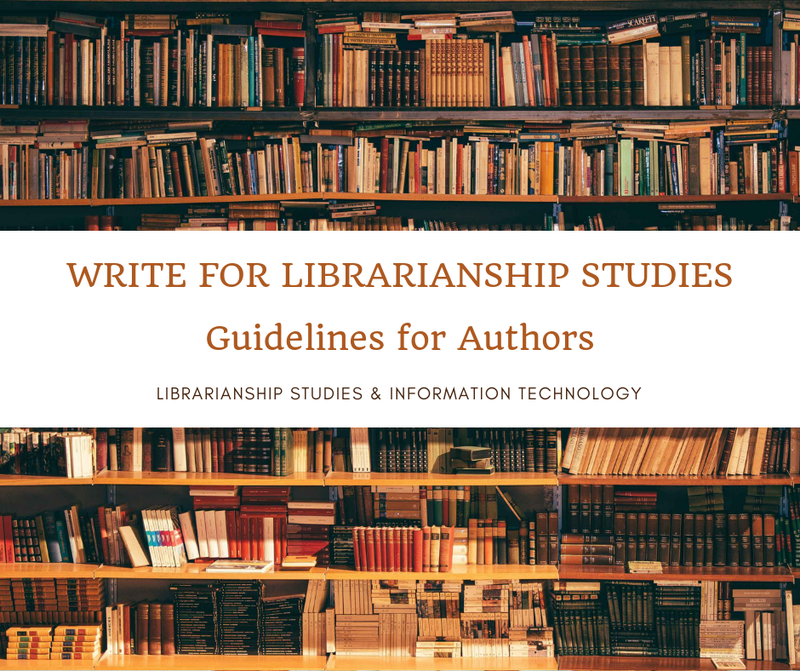 Proceedings, including collections or partial collections of papers (or of contributions, essays, etc., that are based upon papers) presented at a conference or meeting. A partial collection, defined as a work containing two or more papers (or contributions, essays, etc. that are based upon papers) presented at a conference or meeting. A collection of preprints of conference papers. Work is not a conference publication. 245 10$aCompte rendu du congrès /$cAssociation des bibliothécaires du Québec. One-character alphabetic code that indicates the original alphabet or script of the language of the title on the source item upon which the key title (field 222) is based. If there is no key title present, the code value may relate to the title proper (field 245). 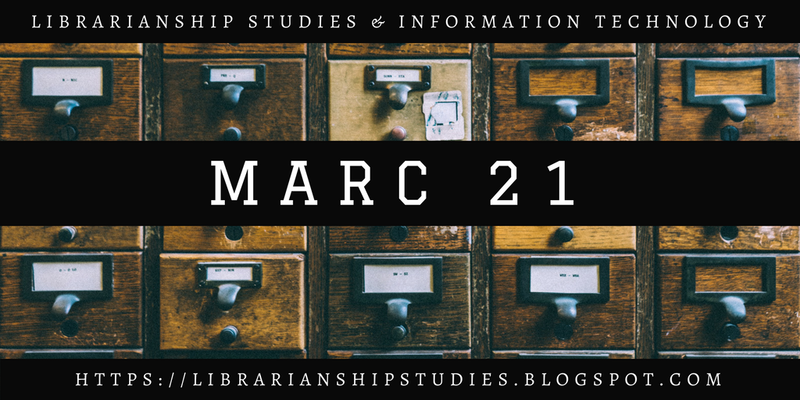 This data element is mandatory for bibliographic records created or updated by one of the centers participating in the ISSN Network. For other non-ISSN Network records, 008/33 is optional. May relate to the title proper in field 245 when no key title is present. For bibliographic records that do not contain field 222 (Key Title), code blank (#) is often used instead of coding for the original alphabet or script of the title proper in field 245 (Title Statement). Original alphabet of the title is the Roman alphabet. Languages that are usually associated with code a include: Basque, English, Latin, Welsh, and many languages of Central and Southern Africa. Original alphabet of the title is a Roman alphabet language. Most western European languages, with the major exception of English, fall into this group. Used if the language itself has diacritics even if the title in hand does not contain any characters from the extended alphabet. 245 00$aJournal de la police de Nouveau Brunswick. Japanese language does not actually have an alphabet. It uses two syllabaries (Hiragana and Katakana) and Chinese ideographic characters. Chinese language does not actually have an alphabet. It uses a system of ideographic characters to represent sounds and entire words. Korean language uses a writing system that forms characters that represent entire words from syllabic components (Hangul). Traditional Chinese ideographic characters are also used. Original alphabet of the title is unknown. Also used when the title incorporates words from more than one alphabet or script. 245 00$aSak`art`velos muzeumis moambe =$bBulletin du Muséum de Géorgie. One-character numeric code that indicates whether the item was cataloged according to successive entry, latest entry, or integrated entry cataloging conventions. 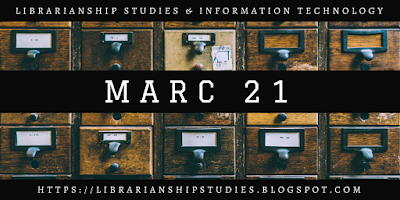 New bibliographic record is created each time 1) a title changes, or 2) a corporate body used as main entry or uniform title qualifier, changes. The earlier or later title or author/title is recorded in a linking field (field 780/785) on each record. 110 2#$aChartered Institute of Transport. Cataloged under its latest (most recent) title or issuing body (pre-AACR cataloging rules). All former titles and/or issuing bodies are given in notes (fields 247, 547, and 550). 111 2#$aSymposium on Underwater Physiology. 550 ##$aVol. for 1955 issued by the symposium under its earlier name: Underwater Physiology Symposium. Cataloged under its latest (most recent) title and/or responsible person or corporate body. Used for integrating resources and electronic serials that do not retain their earlier titles. New record is made only when there is a major change in edition or it is determined that there is a new work, and for title mergers and splits.